There are a few names in Gospel music that when mentioned have a synonymous connection to talent, anointing and a rich legacy of musical influence. Powell is one of those names. Billy Powell, son of legendary singer and musician Pastor Hubert L. Powell (of Hubert Powell and The Gospel Truth) and brother to musical phenom H. Doobie Powell, continues to carry forth the family tradition and legacy of great gospel music and innovative musical production. Billy Powell is a producer, songwriter and highly sought after drummer in Gospel and Jazz. 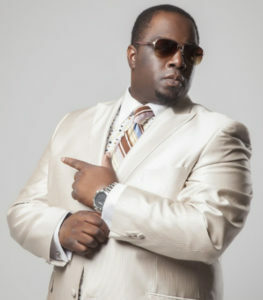 Billy also has a unique vocal and rap ability which has been featured on several albums and lead him to release three indie solo projects, NUTNBUTACHURCHBOY, THE HIGH LIFE (a B Selection), and THE LONG ROAD BACK TO GOD. In 2012, Billy began to work on a project when God began to reveal a larger vision to him. This consisted of more intricate vocal arrangements, the infusion of live instrumentation, horns, guitars, bass, percussion, and a DJ. The vision began to come into fruition as “1Church”. Billy Powell and his 1Church collective consist of 12 faithful and functioning diverse members of different churches and denominations that come together to create and represent what the body of Christ looks like. With so many different personalities, influences, interest, and life experiences, 1Church has birthed a unified and unique sound heard on their new EP INFLUENCE. 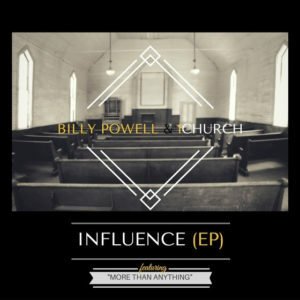 Billy Powell & 1Church’s 5-track INFLUENCE EP includes their single and remake of the Lamar Campbell and Spirit of Praise hit song “More than Anything”. Billy & 1Church add their unique brand of Gospel music to the popular worship hit by infusing dance and electronic pop into the production. INFLUENCE embodies an eclectic and yet poignant mix of CCM, Rock, Hip-Hop, and Traditional Gospel elements covered with the word and anointing of God. INFLUENCE is available on all digital music and streaming outlets now. This entry was posted in Gospel, Reviews and tagged 1Church, Billy Powell, Influence, More Than Anything by Kris Patrick. Bookmark the permalink.